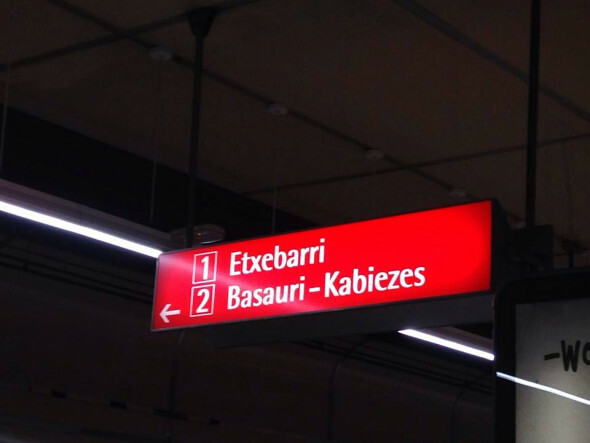 My friends in Bilbao and I want to know why the typography in the subway system is considered a design classic. Couple photos here. We are a bit ignorant, but doesn&apos;t look so unusual to us? We are super curious to find out! Thanks for your wisdom on this. Well, how long have you got. It was designed by Otl Aicher who was the graphic designer who led the design for the &apos;72 Munich olympics – which is a whole other story. 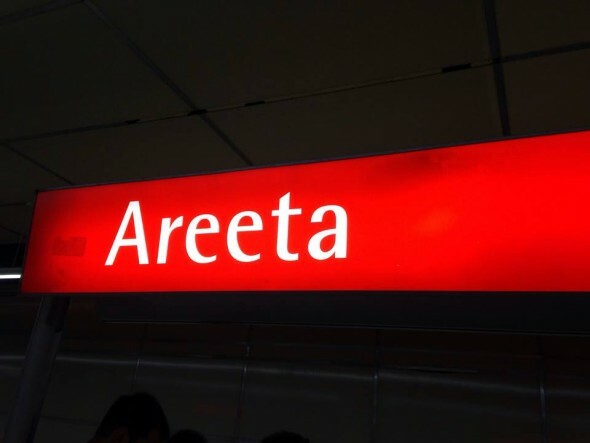 The typeface is called Rotis and he designed it to be a modern replacement font for helvetica. Rotis is unusual in that it was probably the first typeface to be drawn with a serif and sans serif range – I think the one in Bilbao is the semi-sans. People generally dislike Rotis because it looks a bit 1970&apos;s, but it&apos;s beautifully drawn and works well in text as well as in information design. But the real interesting thing about Bilbao is that Aicher worked very closely with Norman Foster who designed the stations – they were friends and collaborators – so it&apos;s a great example of info design, graphic design and architecture working together from the outset of a project to a successful end. In terms of it not looking unusual – I agree and it&apos;s probably a sign that it&apos;s worked ok – both Foster and Aicher were trying to achieve something fairly neutral with the emphasis on assisting people travel around the city – without confusing them or imposing a design style. That said the shell shaped glass canopy entrances to the metro are influenced by shapes of sea creatures – I&apos;d say they&apos;re as expressive as Foster has ever been.